Newb here. Just found the forum. Been looking for a quality 335 type guitar to refuel the creative fires. Tried a nice older (presumably MIJ, still researching all that) blonde HB-35S for sale locally. I really liked it, it had some mojo. And major heft! But anyway, I'd like to have a 335 type guitar with a Bigsby, and while it seems like you could put one on it since its basically a 335, is there some reason you cannot? I've been searching the web, ebay, etc. 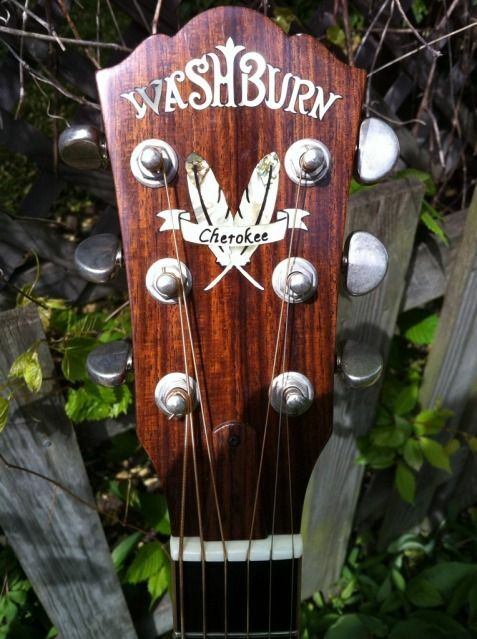 and have not found an example, photo, write up, anything of a Washburn HB-35 with a Bigsby on it. Nor any ad or listing for a Bigsby saying it is installable on this guitar. Am I just looking in the wrong places? Or is there something odd about it, some unique dimension or something that makes it incompatible with a Bigsby? Awesome! So it can be done! Any particular Bigsby you have to get? I imagine they come in a few varations, widths, etc. Any particular Bigsby you have to get? I imagine they come in a few varations, widths, etc. 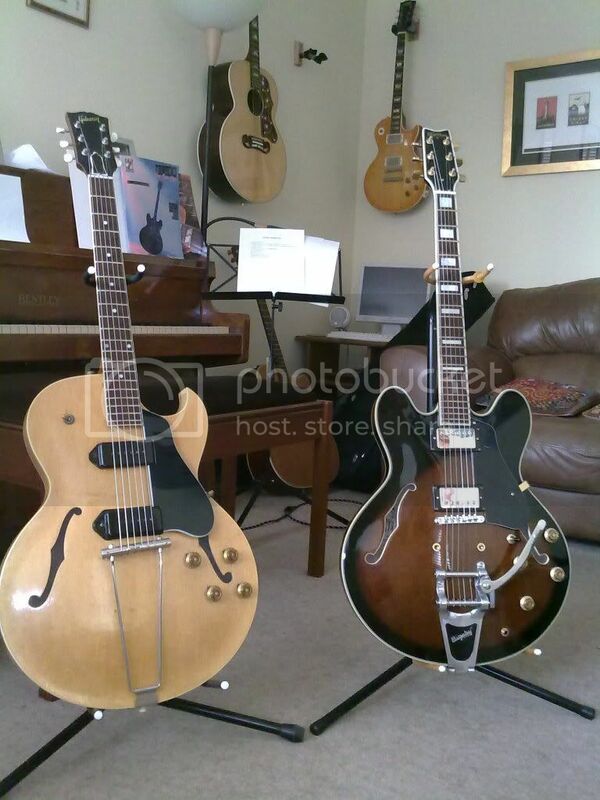 The tobacco burst guitar in the pic... it has identical shape to a ES 335 it seems to my eye. The horns/bouts are just like a Gibson. The HB-35S I'm looking at, the horns are pointy-er. Different. Are they the same model guitar or did they change it at some point to avoid lawsuits, etc? the one you're looking at would be Korean or Indonesian. When they went away from Japanese production, the design changed slightly. I wold think it's about scale length, and the thickness of the body. the saddle addresses scale length, and the body thickness has been consistent. You should be good with a B7 like 1984 says. The only thing I don't like about the retrofits, with the B7, is that no one ever covers up the old TOM holes. The B5 with the adapter is not the answer as the string angle to the bridge is too severe. So do something to cover those extra tone holes.